This version of the Kwaiken comes with carbon fiber handle scales, which gives the knife an even classier look. The carbon fiber Kwaiken has become the go-to option for people looking to pick up the iconic folder, even more so than the G-10 Kwaiken. With other design benefits like an overall weight of 4.4 ounces and right-hand tip-up carry pocket clip, the Boker Plus Kwaiken is just too good to not have in your collection. 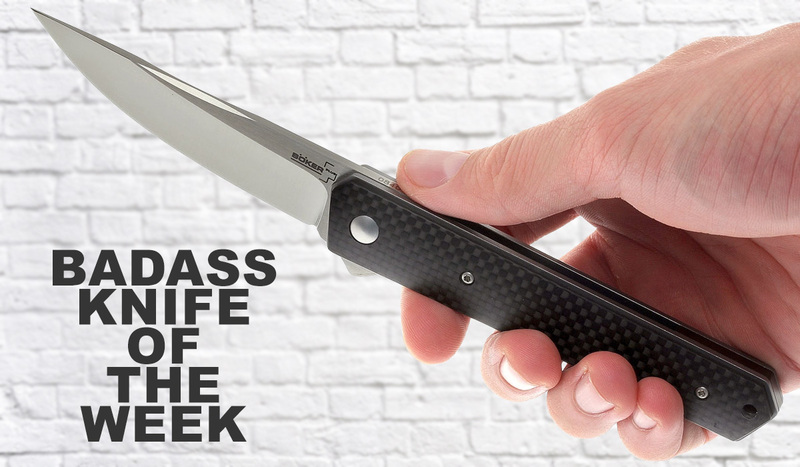 For more info on this Badass Knife of the Week, see the product page for the Boker Plus Kwaiken.